I’ve been a horror fan for a long time. 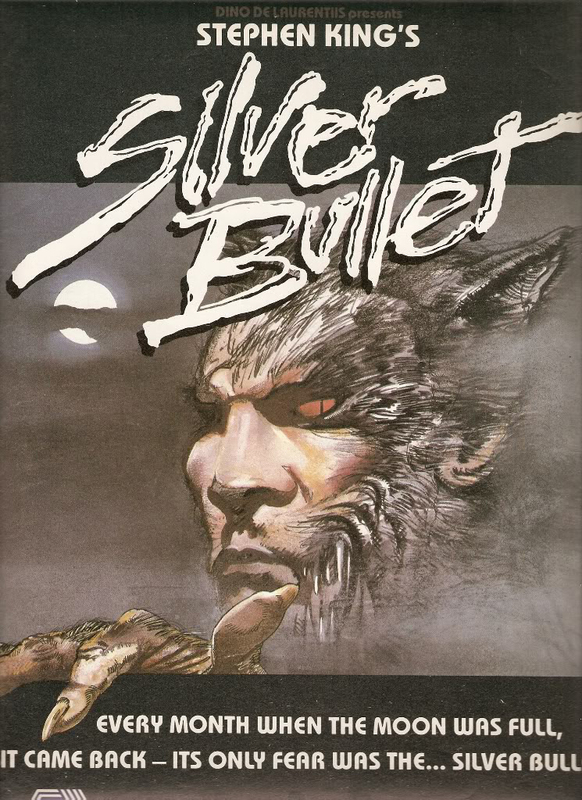 I was introduced to the genre one Halloween night when my parents let my brother and I watch a Stephen King adaptation called Silver Bullet. After that, horror was my genre of choice. First it was the Universal classics and anything my parents deemed scary, but tame enough. Hammer was about as edgy as I was allowed to see, but as a teenager that all changed. I got into slasher films like Friday the 13th and Texas Chainsaw Massacre. Using the internet, I hunted down what was considered the essentials of the genre. Local outfit Exhumed Films also increased my exposure to a lot of interesting, and sometimes über-obscure, films. Night of the Living Dead (1968) -This one’s a bit obvious, I’m afraid, but I couldn’t not recommend this. Romero’s “little zombie film that could” remains an unmatched classic in the genre. Many essays have been written discussing the heady social commentary that accompanies the scares, but my suggestion is just watch it. Experience it. Let it resonate with you on multiple levels, because it will. It’s a timeless film and I can’t recommend it enough. 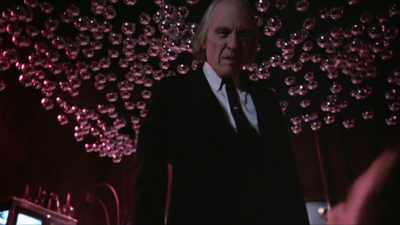 Phantasm (1979) – While we’re on the subject of small budget films that leave a huge impact, I have to mention Phantasm. For a long while, back when I made more lists, I considered it my favorite film. I proudly called myself a “Phan,” and spent many long afternoons in message boards and chat rooms with other like-minded individuals wondering if Coscarelli would ever give us the sweeping epic that would be Phantasm 5 (still waiting, Don). But all of that aside, watching it as a standalone film, without giving thought to what sequels would come after, was an experience like no other. The film’s surreal dreamlike narrative and memorable villain are bound to stick with you long after the credits roll. Dellamorte Dellamore (1994) – Also known as Cemetery Man, this film was one of the last great Italian horror movies, arriving at the tail end of a streak dominated by the likes of Argento and Fulci. Where others appealed to the senses with creative images of violence, director Michele Soavi infuses this effort with a quirky sense of humor reminiscent of Evil Dead 2 and the work of Monty Python. Don’t let the laughs fool you though. Dellamorte Dellamore is still very much a European horror film, meaning it doesn’t shy away from grandiose violence and an art house approach to narrative. 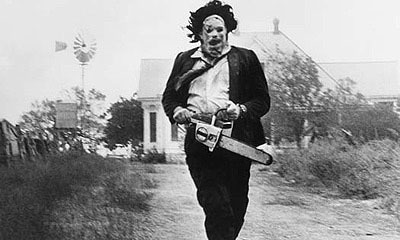 The Texas Chain Saw Massacre (1974) – The original film in this long dead franchise is still one of the best we’ve seen from the genre. It wins for its realism. Nothing about it feels forced, faked, or clunky. Even as the villains become more and more over the top, it works because the world these characters live in has been sold so well in the minutes leading to the climax. The Evil Dead (1981) and Evil Dead 2-Dead by Dawn (1987) – I had to put both the first and second film at this spot, because they work so well together. The first film is classic horror but done in such an over-the-top way and handled with so much love from young filmmaker Sam Raimi and his crew. The second film saw that from there, the only thing left to do was invert those ideas and infuse the elements with a healthy dose of Three Stooges slapstick, proving just how thin the line between horror and comedy can sometimes be. Watching these films back to back is the best way to experience them. Hellraiser II (1988) – Whenever I’m in a conversation with fellow movie buffs and we start talking about sequels that eclipse the original, I always throw Hellraiser II into the discussion. It’s that rare sequel in that it expands so much on the raw materials Clive Barker established in the original it becomes an entirely self-contained tale. It also includes a scene that to this day still makes me cringe when I watch it. An American Werewolf in London (1981) – John Landis’ film is probably best known for its transformation scene, which to this day still looks good. Hats off to effects master Rick Baker for that. But what really makes this film so special is that one is hard-pressed to put it in a category at all. It works just as well as a horror film as it does as a comedy. And why not? Landis is, after all, the director who brought us the classics Animal House and The Blues Brothers. The Thing (1982) – It was difficult for me not to fill this list with John Carpenter films. The man has done so much good for the genre, but I wanted to keep this list as diverse as possible. While Halloween is often hailed as the classic, and one has to applaud its simplicity, it is this take on the Howard Hawks’ Thing From Another World where Carpenter scores the highest. The film is just so damn tense throughout and the performances are top notch. The atmosphere is heavy with paranoia, and the monster effects by Rob Bottin are like something out of a nightmare. Alien (1979) – Like Night of the Living Dead this is an obvious entry, but it wouldn’t feel right leaving this one off the list. It’s a scary film. It’s a beautiful film. It’s one of those movies where looking away is impossible because it’s filled with so many iconic images. Even knowing where it’s going, because it’s been copied, parodied, and franchised, it manages to enthrall. I’m sure most reading this have seen it, but if anyone hasn’t… do it! Do it now! The Brood (1979) – David Cronenberg is another director who I was tempted to populate this list with, but to narrow it down I selected what he has been quoted as saying is his most personal film. It’s certainly my favorite of his. It’s such a strange film and it could only have been made during the time it was made, but there’s a wonderful charm to it. Though the film is not without its depth, it’s one of his more “B” efforts, so it operates on a different level than some of his headier efforts. Definitely no Texas Chainsaw Massacre for me, but I’d give the rest a shot ;-). I love Alien! Nice job. Thanks, Jill. Always happy to share the horrors.